Age 18 or older to join Fire/Rescue/EMS/Fire Police, and 16 to join Auxiliary. Residency requirement: live in Cromwell or work in town and able to leave to go on calls; or (EMS only) live anywhere and be willing to come to town for duty time. Able to pass police background check, DMV check, and physical exam. Additional requirements are detailed on the application form. Emergency Medical Technicians: Provide ambulance and emergency medical services. They take at least 140 hours of training, and respond to a wide range of situations including car crashes, heart attacks, injured persons, difficulty breathing, childbirths, and more. EMT's may perform stand-by services, providing first aid at community events, football games, parades, etc. Firefighters: Provide fire/rescue services -- they respond to everything from brush fires to structure fires, and car crashes to hazardous materials incidents. They spend many hours training and practicing to keep their skills sharp. If fighting fires or doing ambulance calls isn't your cup of tea, we can use your help behind the scenes as an Associate or Auxiliary member. If you can have any other talent which will help our department, we'd love to hear from you! Fire Police: Help keep responders safe by setting up traffic controls at emergency scenes. While some fire police members are cross-trained, they generally do not participate directly in firefighting or patient care activities. Auxiliary: Help the volunteers that help you. The Auxiliary supports and gives aid to the volunteers to the Fire Department. Explorer: Our Explorer Post 46 is a stepping stone and a great learning point for many teens who would like to give back to our community. They will learn what it takes to be a firefighter or an EMT and the skills required. Explorers wishing to "step Up" to a firefighter at the age of 18 must be a Cromwell Resident. 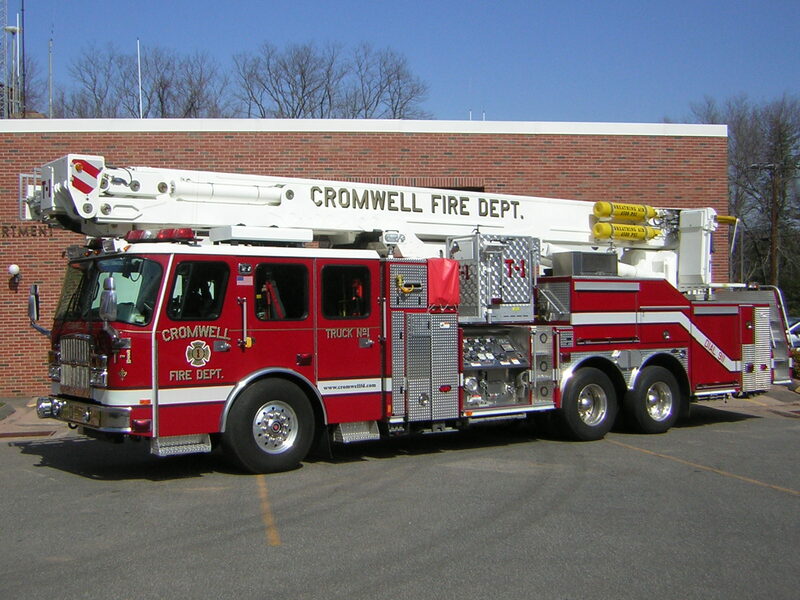 Cromwell Fire Department accepts applications anytime, and new recruit classes begin quarterly. Here is how the application process works. Stop by the Court Street station any time to pick one up. You must send the original so we have your signature on file to authorize the next steps. Interview and Background Checks. Your application will be promptly processed. Once processed and background check completed, you will be contacted for an interview by a Chief. Physical Exam. If all lights are green to this point, you will receive a letter with instructions regarding a physical exam. New Recruit Training. New recruit classes start quarterly. The group of new recruits completes basic training together, including OSHA-required safety training, orientation to stations/vehicles/equipment, review of policies & procedures, etc. There is a minimum list of items to be completed before you can start to respond to calls, and this can take up to 60 days depending on how available you are. Probation. All new members must complete a minimum 6-month probationary period. Following successful completion of probation, recruits are submitted to the full membership to vote on acceptance into the department. EMS Training. New recruits with a primary interest in emergency medical services must complete training as an EMT within the first year. Contact Member Services for further information.